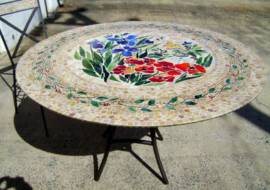 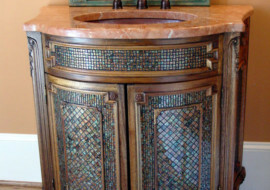 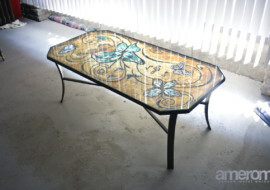 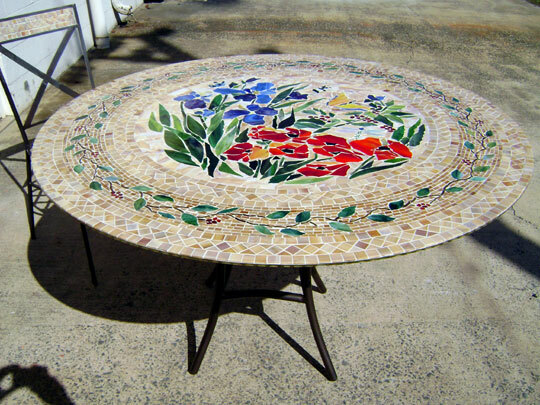 Let us create a one-on-a-kind mosaic furniture item for you. 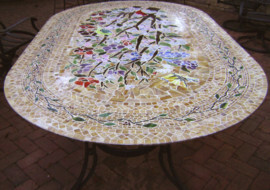 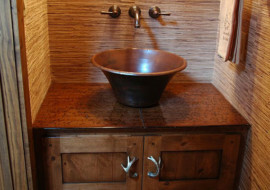 In the gallery below you will see many examples of our artistry and mosaic skills applied to mosaic table tops, mosaic vanities and mirrors. 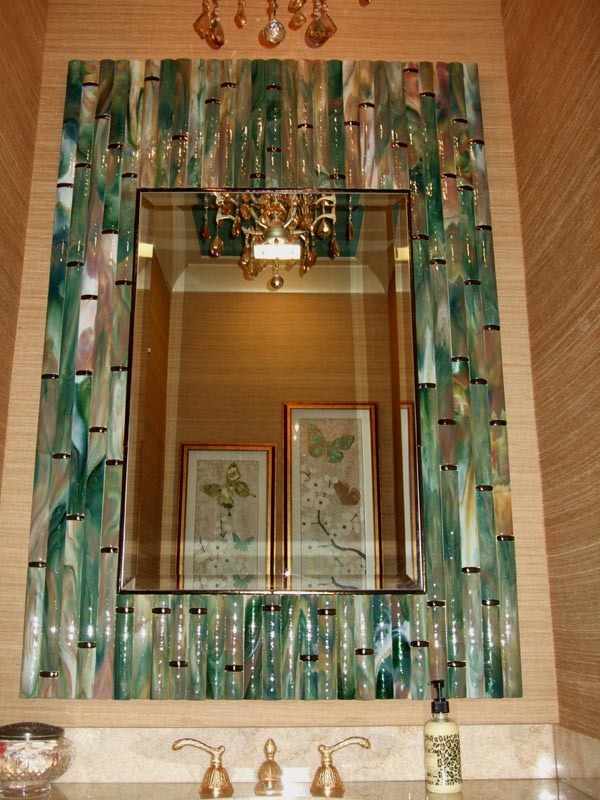 Start with a design or artist rendering by Saundra and then let our team of glass artisans translate the design into a functional work of art. 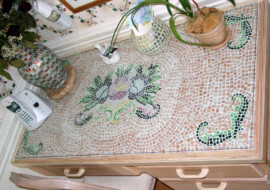 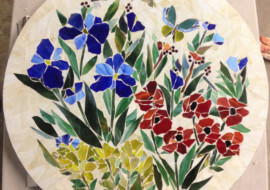 We enjoy the intricacy of the mosaic work using hand-cut stained glass tiles. 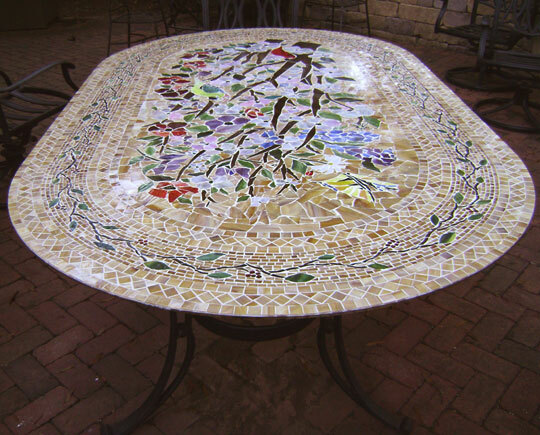 Many of our mosaic furniture works incorporate thousands of individual tiles each carefully glued to a substrate surface. 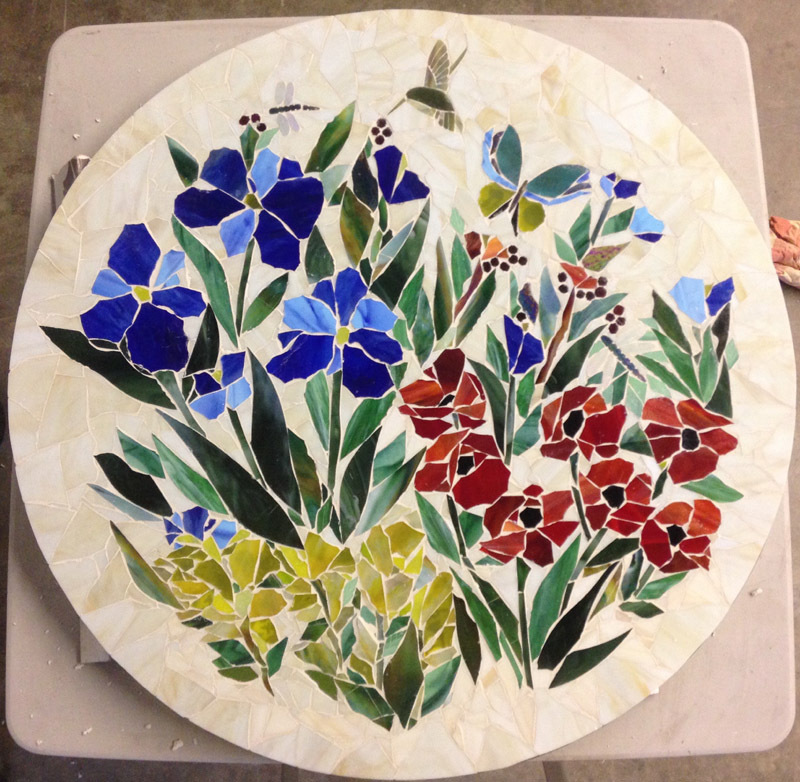 The next step is to grout the mosaic furniture and then finish with two coats of grout sealer. 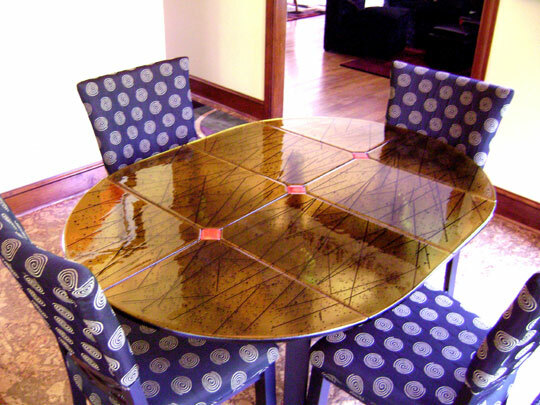 In some of the examples we have used fused glass such as the Bamboo mirror, fused glass vanity top and abstract table tops. 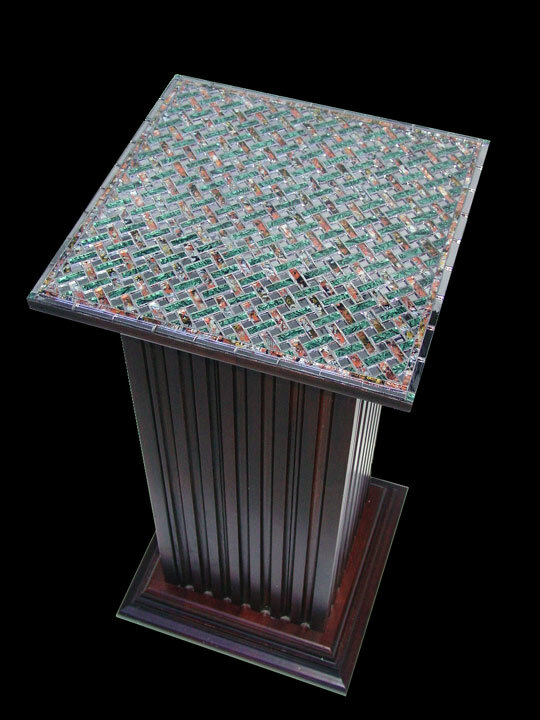 For the stunning bamboo mirror we covered a section of 3/4″ high grade plywood (properly sealed) with hand crafted round bamboo tiles. 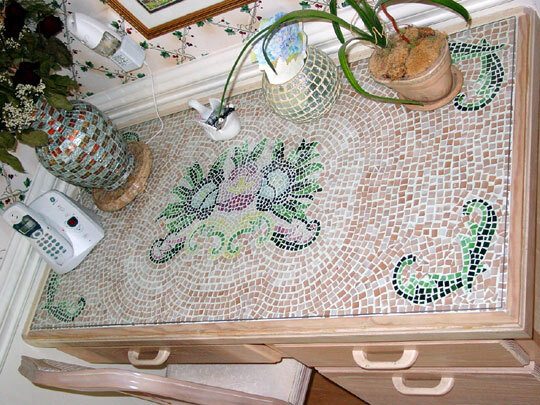 We take great pride in our work. 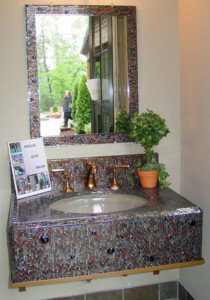 We even tiled the outside edges of the mirror to give a professional and finished look. We adhered the beveled mirror to the plywood and included a thin trim of iridized gold glass. 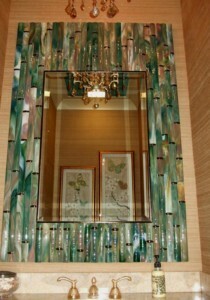 The artwork was quite heavy so we used a french cleat system for hanging on the wall. 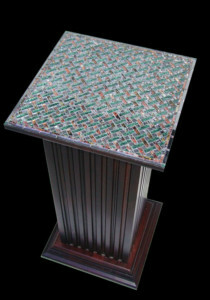 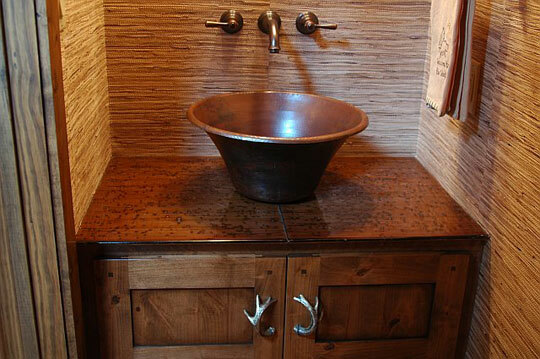 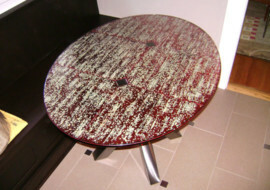 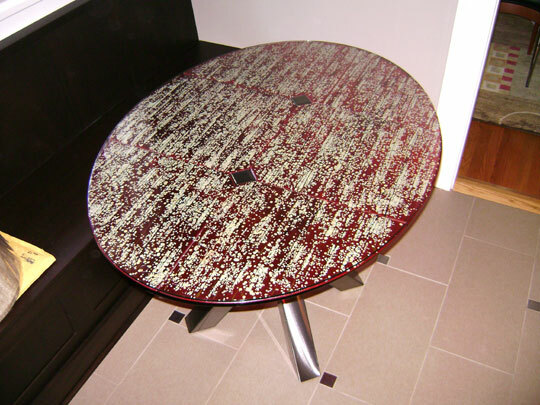 In many cases we can create a mosaic veneer over an existing piece of furniture. 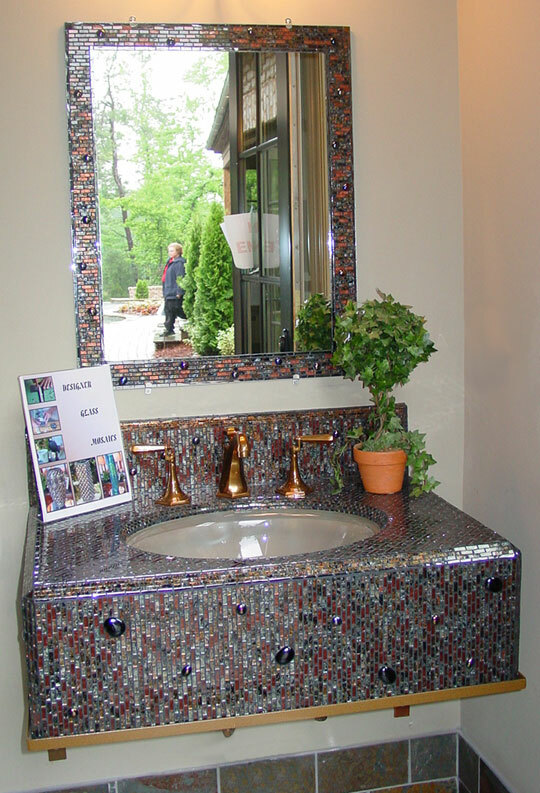 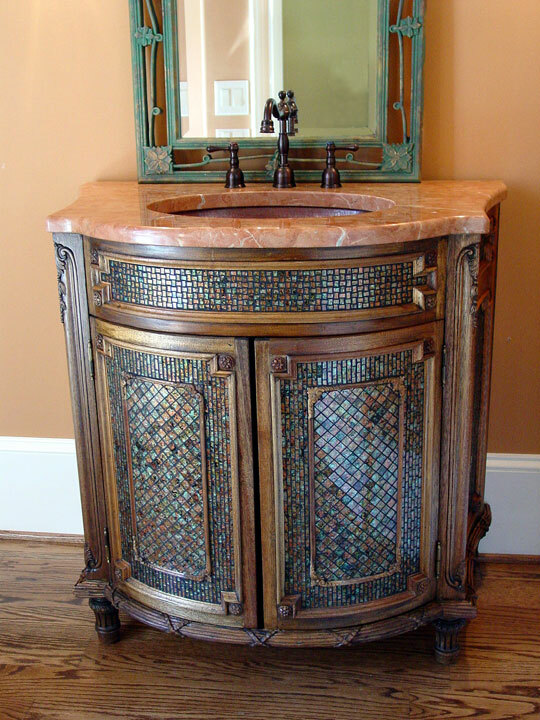 Bring us or ship us your vanity and let us cover it with a veneer of stained glass mosaic tiles in a design and color scheme chosen by you. 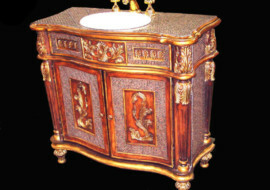 To explore your ideas please contact us through the Contact page on our website.